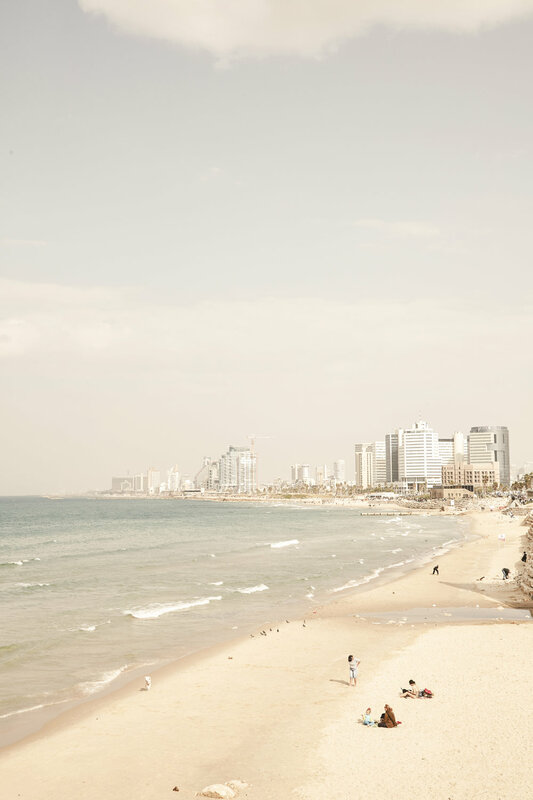 The Tel Aviv coastal strip is 14 kilometres long, stretching from Herzliya to Bat Yam and composed of 13 official beaches. Celebs, gays, dogs, nudists or families all have a particular beach. 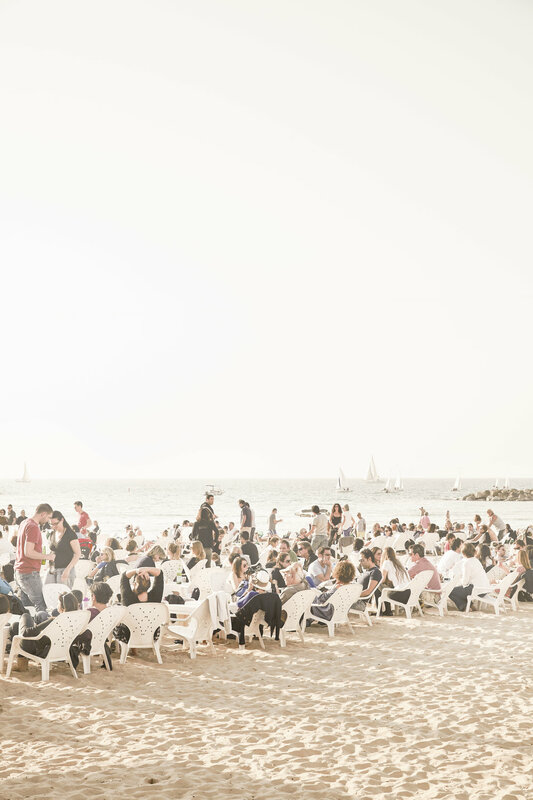 You could name the beaches and the sea as the city's playground, and it plays a huge role in the Tel Aviv lifestyle. In the summertime, the beaches are a real paradise for swimmers and sunbathers. In spring and autumn around afternoon, people gather at the beaches for drinks or a stroll, a quick bath or for a play of Matkot, a popular paddle ball game similar to beach tennis. The Israelis play the game with passion, and they often refer to it as to as the country's national sport. We walked by with the camera an early afternoon in November trying to capture the unique atmosphere at the beach.